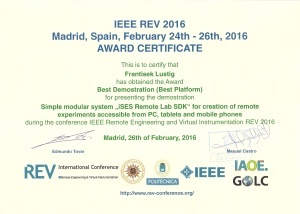 REV2018 Lustig et al. 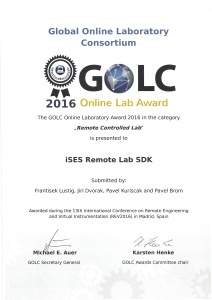 full paper "Hands-on-Remote Laboratories"
REV2018 Lustig et al. 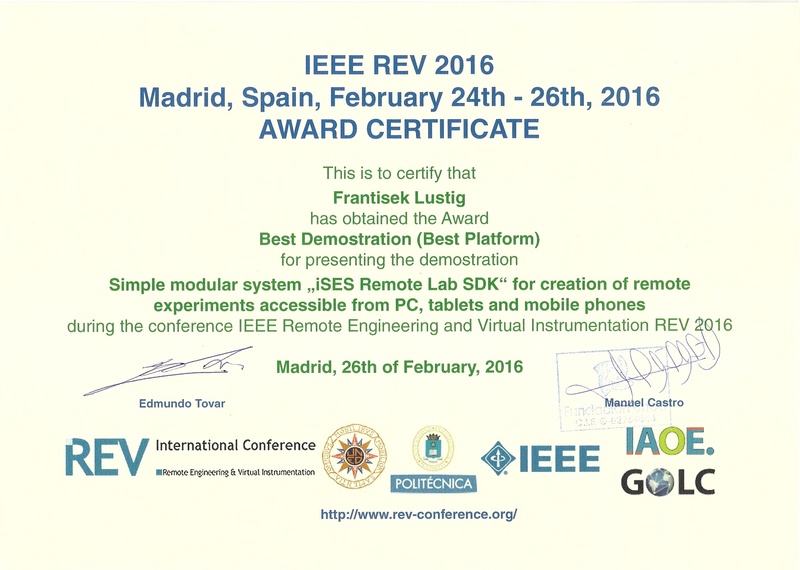 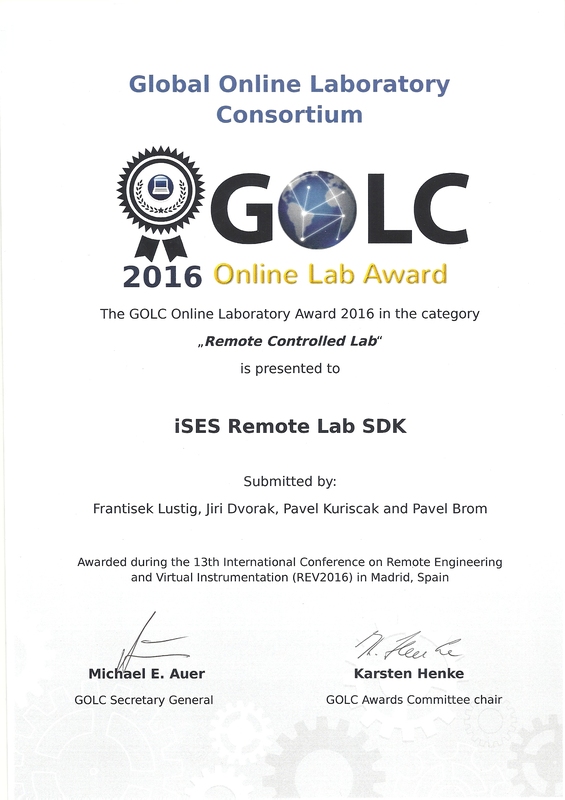 demonstration "Arduino and ISES hands-on-remote physics laboratories"
Demonstration "Arduino and ISES hands-on-remote physics laboratories"
We obtained two awards: The GOLC Online Laboratory Award 2016 in the category Remote Controlled Lab and Best Demonstration Award Certificate.